Dr. Schofield is the Founder and Director of the Center for Multisystem Disease. 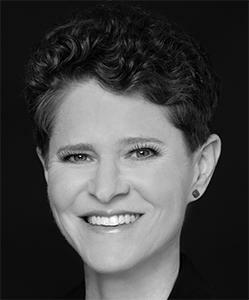 She graduated from the University of Colorado School of Medicine with Honors in 1995 and completed her internship and residency in internal medicine at the Johns Hopkins Hospital in Baltimore from 1995 to 1998. She worked for many years as a hospitalist and teaching attending at St. Joseph Hospital in Denver before developing an interest in autoimmune disease. In 2014, she described the association of autonomic disorders in the antiphospholipid syndrome with Dr. Graham Hughes in London who first described the antiphospholipid syndrome (which is also known as Hughes syndrome). She then completed two years of training in multispecialty autoimmune disease and thrombosis at the University of Colorado Anschutz Medical Campus. She is a member of the medical advisory board for the Graham Hughes International Charity (GHIC) to improve awareness of the antiphospholipid syndrome and is an active member of the MASTerMinds International Listserv for physicians treating patients with mast cell activation syndrome and it's numerous comorbidities. She has published a number of original research papers and regularly presents her work at national and international meetings. Her primary areas of interest are the antiphospholipid syndrome and the emerging fields of autoimmune dysautonomia and mast cell activation syndrome. 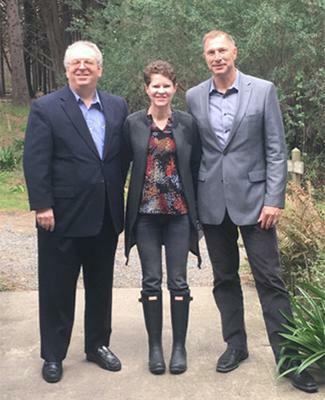 She has developed considerable expertise and interest in searching for the underlying cause of dysauotnomia in adults and children who fail to improve with conservative therapies. She has a clinical faculty appointment at the University of Colorado and enjoys participating in the Foundations in Doctoring program working with medical students throughout their four years of medical school education. 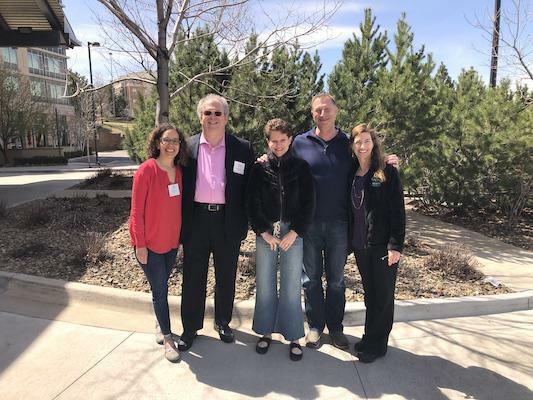 RIGHT: With Drs Afrin and Maxwell and also colleagues Dr. Lila Rosenthal (left) and Dr. Linda Bluestein (right), anesthesiologist from Wisconsin, at the 2nd Annual MCAS Workshop in Broomfield, CO in April, 2019. Drs. Schofield and Rosenthal (middle front) were the conference Co-Directors. 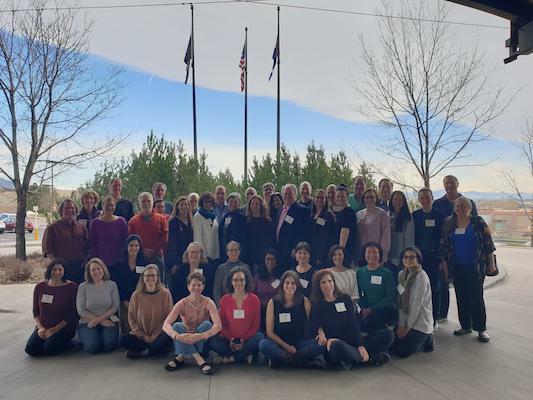 Approximately 50 physicians from around the country (and one physician from the Netherlands) were invited to attend the conference in Broomfield which was CME-accredited by the University of Colorado.